Whether you wear all the hats in your cleaning company or manage a large team, chances are good you feel like you just don’t have enough hours in your day. It’s a common complaint among BSCs, and one that can only be solved by better managing your time. Without a good plan in place, you can end up working tireless hours and making costly mistakes. Ready to take control of your days? Use these smart strategies to make your schedule work for you (and not the other way around). From discussing a new project with employees to holding a demo for a new cleaning product, the first step to being more productive is to effective communication. A misunderstanding in any part of your business can derail your entire schedule and destroy your plans for the day or week. Establish a regular communications routine with your staff and vendors, and use tools like Google Drive or Evernote to keep a record of everything you share. Set aside at least an hour each a week to work on your schedule. 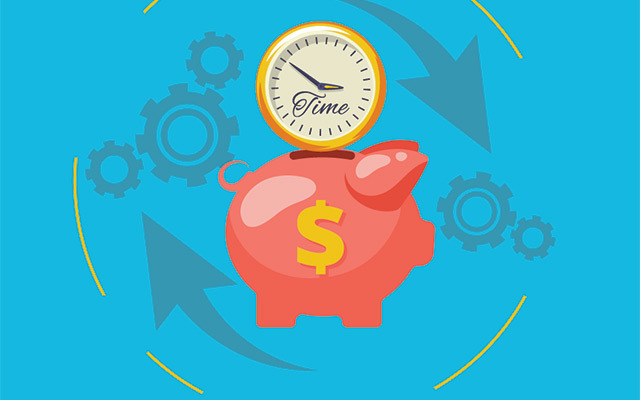 This may seem like a misuse of your valuable time, but effective time management requires planning so don’t skip this step. At the end of your week, review where your schedule went off track and how you can better handle those issues in the future. Then, draft a realistic and flexible plan for your next week. The key is to focus on a small number of manageable tasks and not fall down the rabbit hole of creating endless lists with more tasks than you could ever finish. Time blocking is one of the best techniques to make you more productive. Lumping similar tasks together and then doing them all at the same time allows you to accomplish far more than switching from one project to something else entirely different. For example, set aside an hour to make phone calls, answer emails, or create training materials. Also called “batching,” this technique helps you remain focused and less stressed. It’s easy to let interruptions eat away at your schedule. As a manager, you may be pulled away to deal with a cleaning client who’s upset or need to handle an issue with an employee. Although it’s impossible to stop every crisis, you can control how you react to interruptions. Rather than jumping each time you’re called, take a moment to determine whether the problem is critical and needs your immediate attention or if it can wait and be placed into your schedule when time allows. It’s tempting to work straight through lunch, however, your productivity will actually improve if you add several breaks into your day. Whether you stop to have a snack or go for a walk, the key is to give your mind and body the chance to rest. Simply taking a little time away from work will greatly improve your productivity and efficiency the rest of the workday. Although you’re the manager and are ultimately responsible for everything that happens in your business or department, you should nonetheless delegate whenever possible. Perhaps you have someone else reply to your non-urgent emails. Or hire someone to write your marketing materials. The best tasks to outsource are those that are recurring, time-consuming, and your least favorite activities. Just be sure they’re also the types of tasks that someone else can be trained to handle effectively, not those that only you can do. Distractions such as social media or your email inbox can affect your productivity. The best way to control them is to limit how much time you spend on these types of tasks. You may want to use a timer and set specific guidelines on how many minutes you will devote to each one. Or, if you lack willpower, consider installing an extension like StayFocused to your browser to prevent access to problem sites like Facebook. Scheduling tools range from paper planners in spiral-bound notebooks to comprehensive online apps that integrate with Google calendar. You may need to test several tools to find the best one for your needs, but having a system in place is critical if you want to stay on track and not miss important details. Although referral programs promise impressive results, only 30% of the companies in that survey had a formal program. Unfortunately, most business owners simply don’t know how to create a profitable program. 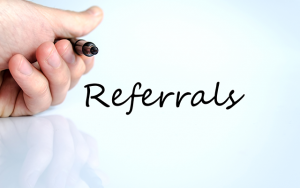 Here are six ways to create a successful referral program that delivers leads and, ultimately, sales.